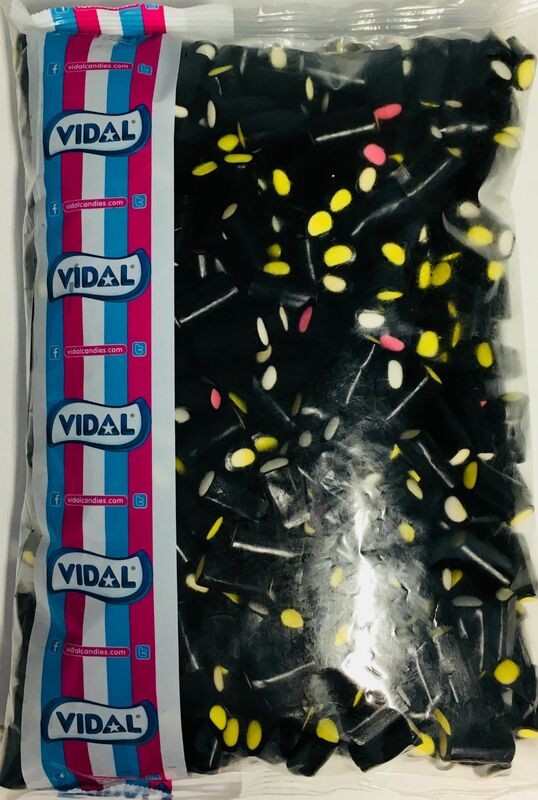 An assortment of fondant filled liquorice cream rock.. INGREDIENTS: Sugar, Molasses, Glucose-Fructose Syrup, Wheat Flour (contains Gluten), Coconut Fat, Corn Starch, Invert Sugar Syrup; Humectant: Glycerol; Potato Starch; Acids: Lactic Acid; Coconut Oil, Rapeseed Oil, Salt, Flavourings; Emulsifier: E471; Fruit and Vegetable Concentrates: Lemon, Safflower, Tomato, Radish, Apple, Pumpkin; Licorice; Colours: E100, E120, E133, E153, E160a. Coating Agents: E901, E903, E904.